How can you make your child’s Easter celebration unique? 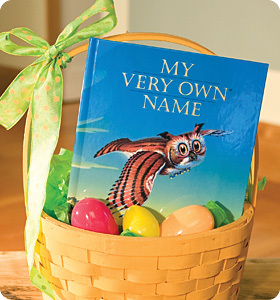 I See Me, Inc launches a new line of personalized Easter Placemants and custom children's books to celebrate. Colleen Padilla, founder and editor of ClassyMommy.com recommends 5 personalized touches to make your child’s Easter egg-stra special. 1. A Tisket, A Tasket, Put Some Books in Their Baskets! Of course candy and eggs are a must in every child’s Easter basket, but how about adding in a special keepsake that your child will treasure for a lifetime? Padilla recommends adding an I See Me! 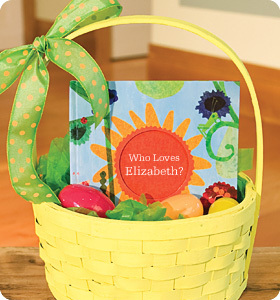 personalized children’s book into your child’s Easter basket. These award-winning books come personalized with your child’s name throughout the stories, so your child will delight in being the star of the storybook. 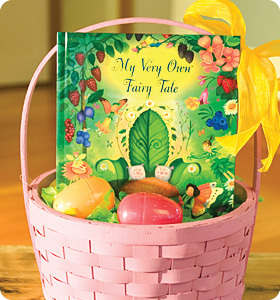 The books also display beautifully in an Easter basket. I See Me! children’s books are available for purchase at iseeme.com. Allow 2 weeks for standard delivery. 2. Make Their Eggs Their Own! Wait just a minute before you have your children dye their Easter eggs! First, take a wax crayon and have them write their names on each of the eggs. Then, drop the eggs into the dye. Your children will love seeing their names appear on their very own Easter Eggs! 3. Make the Table Festive and Fun! Children’s personalized gift company I See Me! 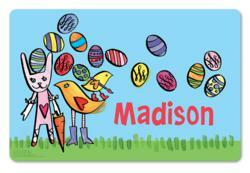 recently introduced new personalized placemats that feature colorful bunnies, eggs, chicks and baskets. Personalized placemats are a simple way to make your Easter table festive and fun. 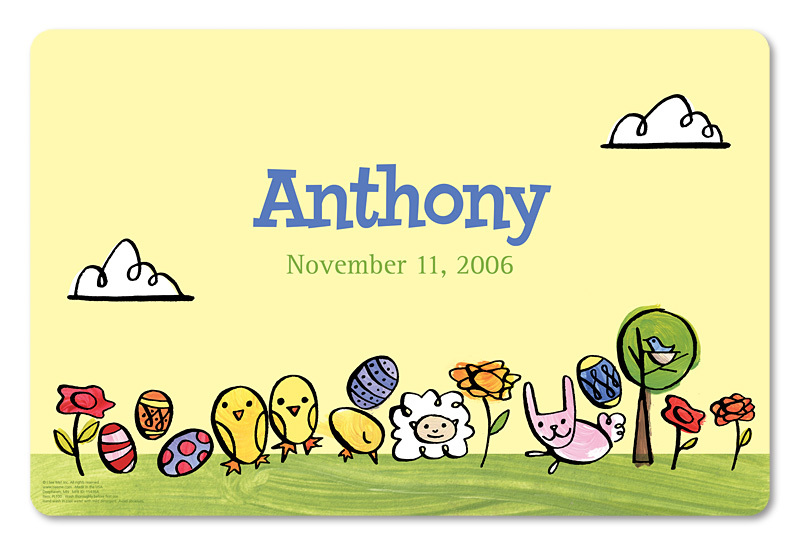 Custom placemats are available with your child’s name at iseeme.com. Allow 2 weeks for standard delivery. 4. Cook Something Up with their Names! Cut out some simple sugar cookies in the shape of Easter Eggs. Let the kids decorate them with their names in frosting! 5. Put Up A Tree! An “Easter Tree” makes a great centerpiece for any table… and kids will have a great time decorating the tree with ornaments featuring their very own names. Easter Trees are a fun do-it-yourself project and many popular craft stores carry all the supplies you and your children will need to get the job done! I See Me! Inc. creates high-quality personalized children’s books that celebrate the uniqueness of each child and build self-esteem. I See Me! Inc. products are personalized with the child’s name. You can also connect with I See Me! on Facebook or on Twitter. For more information, visit iseeme.com or call 1-877-744-3210.